Run in the footsteps of the founder of the Cape Colony and discover Cape Town’s rich heritage and history. Join us for this classic sightseeing running tour of the city centre of Cape Town. Running past historic icons like the Castle of Good Hope and City Hall, as well as through the Company’s Gardens – a peaceful oasis in the bustling CBD – and the colourful Bo-Kaap, you have a unique opportunity to learn more about Cape Town’s past. Get a feel for the vibe of the city by running through its streets, while a local guide shares the history and anecdotes about the places you’re passing. The city centre running tour can be adapted to 5km, 8km or 12km routes, with the 12km option passing through the Green Point Park, along some of the Sea Point Promenade and the Victoria & Alfred Waterfront. 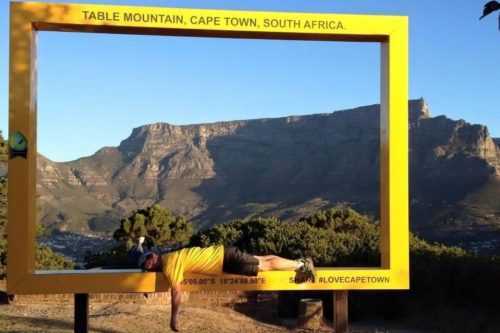 The full 12km route takes approximately 1 hour 40 minutes – a great opportunity to get up close and personal with all the major sights of Cape Town, against the backdrop of our beautiful Table Mountain.